YouTube is undoubtedly one of the best websites on the internet today. The video-sharing website is likened to a one-stop-shop for everything and basically anything! There are music (videos), tutorial guides, TV shows & films, documentaries, product commercials / endorsements / reviews and many more! Who wouldn’t find YouTube useful, right? Well, some governments just don’t like their people having access to YouTube for various reasons. China is one of the many countries that have blocked YouTube for a long time now. It’s still not clear as to why China has decided to block YouTube since 2009. But no matter what the reasons behind China’s blockage of YouTube, one thing is certain; the Chinese netizens are missing out on a lot of good internet stuff. It’s kinda ironic too because YouTube is the third most-visited and biggest website and yet China with the highest population in the world does not have access to it. The native Chinese people have a few video-sharing alternatives though. Youku and Tudou are said to be the copycats of YouTube. But for most of us, nothing’s like the original. If you are an expat living in China, you would still prefer YouTube over any alternative because it’s just the better platform for viewing all kinds of contents. Youku has a lot of potential but let’s face it, YouTube still has better content and feature offerings. Gladly, there is a way to unblock YouTube in China and be free from the great firewall’s internet restrictions. If you don’t already know, a VPN is an amazing tool that is capable of bypassing almost any restrictions on the internet. A VPN is able to unblock the internet because it makes use of a technology that can disguise real IP addresses with fake ones. The way websites or systems determine your location is thru your IP address. In order to bypass China’s internet access restrictions, you need to be represented by a different IP address other than a Chinese IP. If you use a VPN, you can change your Chinese IP into a different one, say to a US IP. If you already have a different IP, then the great firewall would no longer see you as accessing from within mainland, thus you are now able to access websites that are normally blocked in China like YouTube, Facebook and Google. There are various VPN options in the market but unfortunately, not all service providers offer quality VPN connections. In our years of testing VPN services, we can say that among the best VPNs out there includes ExpressVPN, HideMyAss, IPVanish, PureVPN and VyprVPN. Click on the providers to read our comprehensive review of their service offerings. Choice any of the VPN providers we recommended about to enjoy free and full access to YouTube. 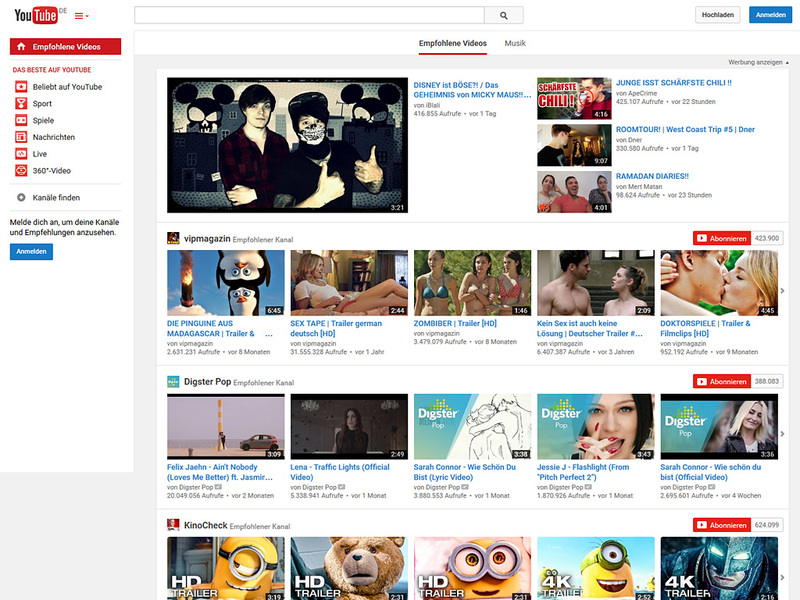 Unblock YouTube in China and view useful and time-wasting contents alike. And with the right VPN service, you will be able to unblock any restricted content on the internet, anytime and anywhere you are! Click here directly to youtube.com.